So firstly, let’s go through the types of teas that you can order here in Malaysia. Obviously there are many more types of teas than this, but these are the most commonly known ones. You can also classify these teas (generally) into 6 types- green tea, white tea, yellow tea, oolong tea, red tea (also known as black tea in the West) and dark tea (‘hei cha’). And of course, within these 6 categories, there are hundreds of varieties. There’s also Chinese herbal teas, scented teas, flower teas and more to consider. But now that we’ve covered the basics… let’s begin! This is one of the most famous ooling teas in the world, named after the Goddess of Mercy, Guan Yin, for its purifying taste. Many love this tea for its strikingly intense flavours and the gentle sweetness of the flowery fragrance. The tea also offers great health benefits, as do most teas such as being high in amino acids, vitamins and antioxidants. This is probably one of the more famous scented teas. The fragrant jasmine flowers are blended with green tea to provide a smooth and floral taste, resulting in a rich, greenish-yellow coloured tea. Due to its popularity, this tea is also considered the ‘earl grey’ of Asia. Other than being a great tasting tea, it also gives you many health benefits such as lowering lower cholesterol and blood pressure, and strengthening the immune system. This used to be a tea that can be found commonly around Malaysia, but sadly, it’s getting a little more difficult to find these days. Many consider this a type of dark tea with big leaves and is said to have an earthiness to its taste. Its popularity can also be traced back to the 19th century when workers in tin mines drank them to cool their body and sooth their lungs. This tea is probably the most appetising drink as the floral scent makes this light tea an incredibly tasty one. It’s also really popular as you can find it in bottles, cans and tetra packs – besides Chinese restaurants and tea houses of course. It can be drunk with or without sugar and is thought to be a type of cooling tea with detoxification properties. This is probably the most unique tea on this list as it was created by Lee Thong Kay in Malaysia back in 1946. Mr Lee was a first generation migrant from Xiamen, Fujian, and had perfected a recipe to introduce this signature tea to the Chinese community in Malaysia. The tea has been described as an oolong tea that is mild in texture, with a light brown hue and lingering aroma. This tea is the most served tea in Chinese restaurants. Usually, if you don’t specify what tea you want, and that you just want ‘tea’, this will be the tea that you’ll be served. Wow, I think I just said ‘tea’ like a million times right there. Many consider this tea to be a category of its won but it’s actually a type of dark tea. 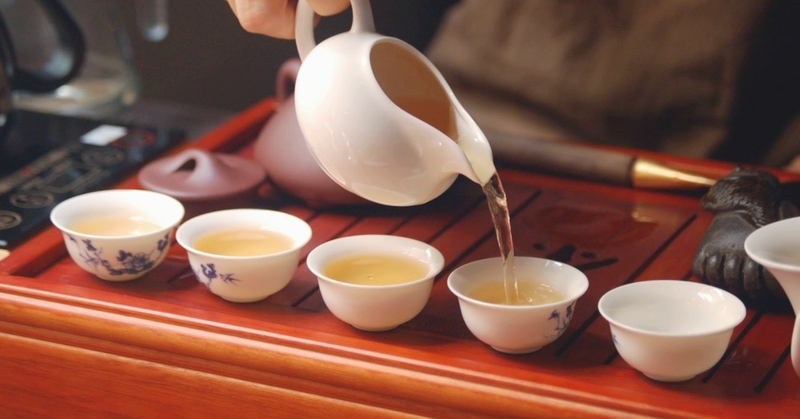 Many have said that it has a ‘deep, woody, sweet old tea’ taste and it’s the perfect drink to pair with your dim sum as it is said to help with digestion and it is also the perfect antidote for the oil found in fried dim sum dishes. It is also widely believed that you have to drink this tea at the right time to lose weight and if you drink at the wrong time, you can actually gain weight. With such a grand name, I’m sure most of you are wondering ‘but why tho’. The name actually refers to its production region, the Longjing Village of West Lake in Hangzhou, Zhejiang Province. It is a type of green tea rich with antioxidants. It has a soft mellow fresh taste with a delicate aroma, definitely comforting to both you taste buds and your body. 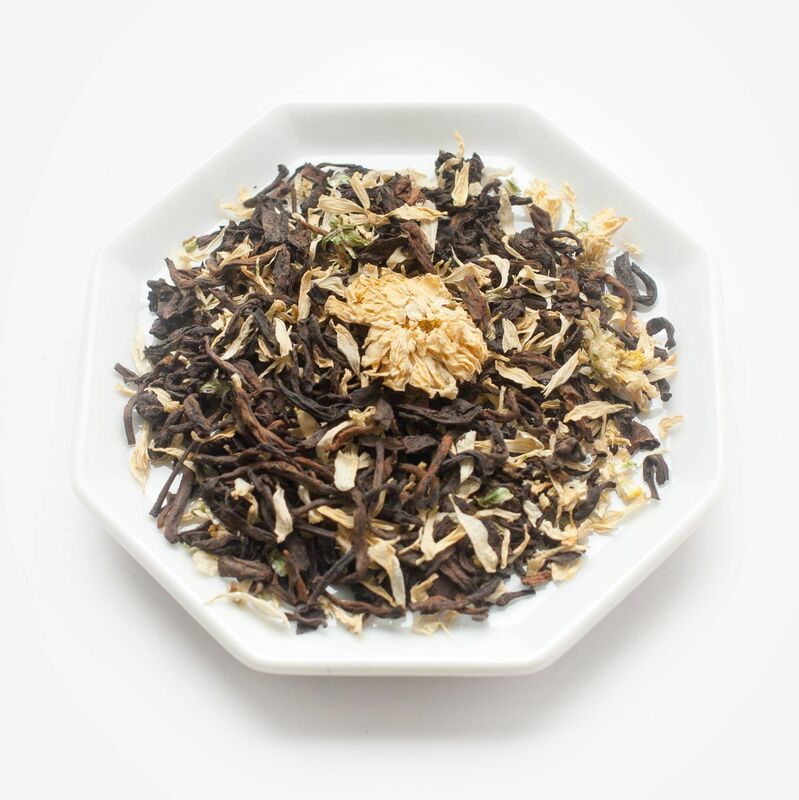 This combination were blended together to get a distinctive earthiness of pu-er whilst also enjoying the aroma and sweetness of the chrysanthemum. This is great for digestion and is perfect for those who can’t decide between pu-er and chrysanthemum. And now… we’ll get to the steps for you to follow in order for you to enjoy them the right way! Warm your clay teapot and cups with hot water by pouring the hot water all over your pots and cups and emptying them into the tray. Add the loose tea into the pot. The amount will vary depending on the tea, but 5-7 grams is ideal. If you’re purchasing the tea to take it home, do ask how much tea is ideal per pot. Depending on the type and grade of tea, you may need to cleanse the tea which implies that you pour hot water on the leaves to wake the tea up, letting them open to reveal their full aroma. Pour the water out and over the cups again to maintain the warmth in the cups. Next, decant the tea by placing the sieve onto the decanter and pouring hot water over your loose tea in the teapot again and let it brew. The brewing length will depend on the tea you’re drinking (always ask your retailer). Oolong teas have short brewing times of about 10 seconds and after this 10 seconds, you should pour the tea from the teapot into the decanter as brewing longer might distort the taste and fragrance of the delicate leaves. Remove the sieve and pour the tea into the thimble-shaped fragrance cup and place the small tea cup over the thimble and then it upside down. Classy. Just remove the fragrance cup and appreciate the fragrance by sniffing the fragrance cup. Drink! There’s no ‘proper way’ to pick up your cup or drink like Japanese tea ceremonies. Just sit back, relax, and enjoy the fine flavours of your Chinese tea.